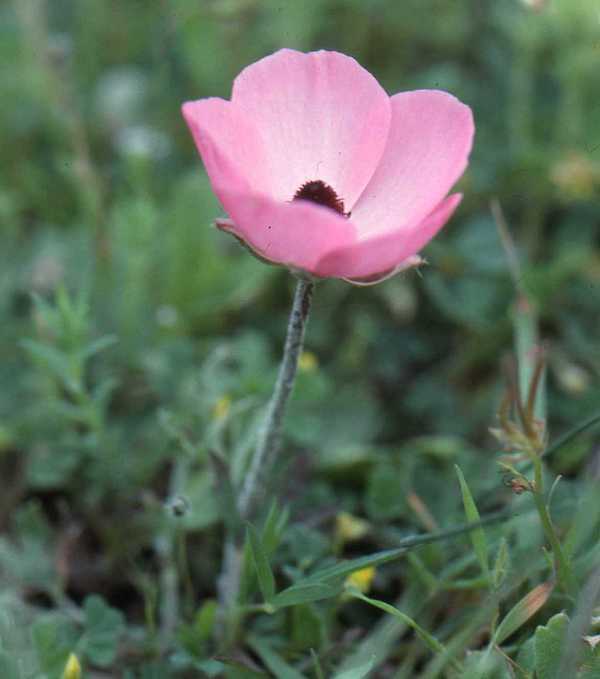 The beautiful and large flowers of the Turban Buttercup occur can be white, yellow, pink, purple or scarlet. They often grow in large single-coloured colonies although occasionally another colour will appear within the group. As well as growing wild, these flowers are cultivated, especially the double-flowered varieties. 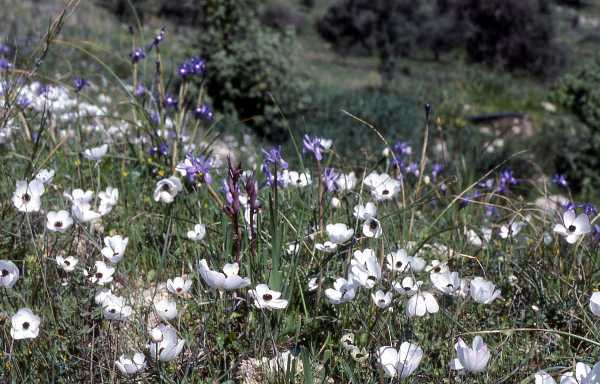 In the wild they grow in grassy and rocky areas and on slopes, in the garrigue, on roadsides and on the edges of cultivated fields. 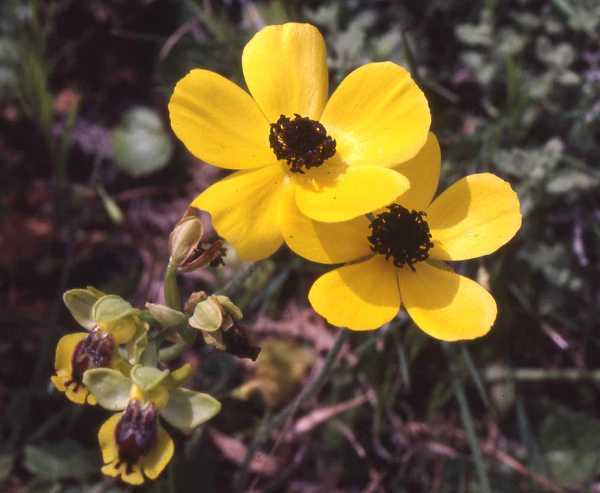 The Turban Buttercup blooms from March to May and is found in Karpathos, Crete, southern Greece, Cyprus and the eastern Mediterranean. This page includes pictures kindly contributed by Anne Horsfall.